A night of elegance and amazing food! 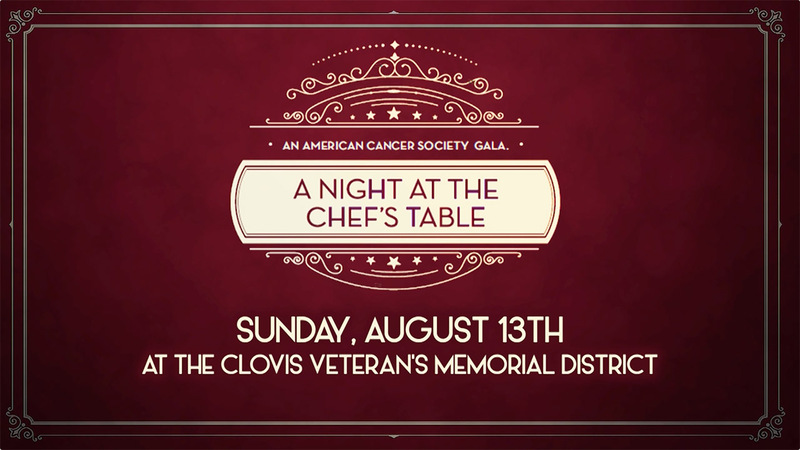 Join us for a Night At The Chef's Table on August 13, 2017, benefiting the American Cancer Society. A one-of-a-kind evening, featuring great food, dancing, a spectacular auction, and much more. A Night at the Chef's Table" is a progressive 6-course seated dining experience by REV'S benefiting the American Cancer Society. With your support, the American Cancer Society saves lives by helping people stay well and get well, by finding cures, and by fighting back against cancer.